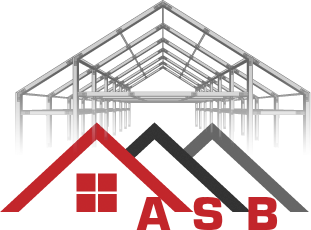 Adaptable Steel Buildings, a pioneer in offering 360-degree Steel Garage solutions in and around Newcastle undertakes all kinds of steel garage and steel building projects delivering outstanding solutions that meet all your specifications and needs. We take pride in supplying exceptional quality products that will stand the test of time. Our comprehensive Steel Garages Newcastle and Steel Buildings Newcastle solutions cover everything from architectural design, elevation design, roof considerations, floor plans and everything else that you could possibly think of when it comes to metal garage construction. We even erect the buildings so all you have to do is make the call. As an industry leader and top specialist in offering bespoke steel garage and buildings construction services, we will be able to handle all kinds of steel garage building requirements. No project is too simple or too complex for our team. You can therefore confidently approach us with all your bespoke garage construction needs. 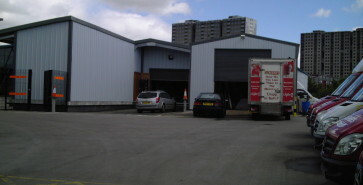 We provide premium quality steel garage building solutions to the entire Tyne and Wear region and Newcastle including but not limited to Gateshead, Gosforth, Jesmond, Felling, Wallsend, Castle Ward, Shiremoor, Ryton, Hebburn, Burnopfield, Pelton, South Shields, Whitley Bay, Seaton Delaval, Cramlington, Chester-le-Street and Bedlington. You just need to name your need and we will take care of the rest. You need not have to worry about the technical challenges involved in the construction of your metal garages. We have a highly experienced team of engineers that will take care of the technical challenges and deliver outstanding solutions. Our vast experience in the supply and building of steel garages enable us to understand your requirements better than anyone else does in the industry. We will also be able to recommend the most cost effective solutions that meet your requirements to the last detail. You will therefore not only have the best steel garage installed but you will also be saving substantially when you choose our service. Is the entire process of building steel garages greatly overwhelming? It need not be any more as we are here to support you in every way possible. As one of the most trustworthy Steel Garages Newcastle service providers, we do not stop with making great promises but we go all the way to deliver on every single promise that we make. We attribute our continued success in this industry to our commitment to delivering impeccable steel garage solutions. We have built our reputation upon customer satisfaction and every single project that we undertake is handled with utmost care leaving no room for errors. Our streamlined execution process enables us to assure you the fastest turnaround times. All our solutions are delivered on time. 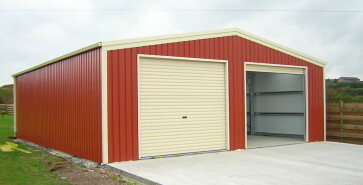 Adaptable Steel Buildings assures every customer absolutely hassle free services regardless of the size of the project. We are fully staffed and well equipped to take care of all your needs in an impressive way. 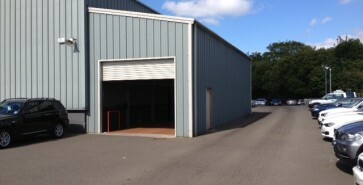 Metal garage construction in Newcastle and the surrounding areas could not possibly get any easier. Send us your detailed requirements for a free no obligation quote. Never start your steel garage project before you have received a quote. See for yourself that we offer some of the most competitive quotes in the entire UK. Do not hesitate to contact us if you need more information or have any questions.